Archivio Storico Ricordi participates to the opening event of Inner_Spaces. 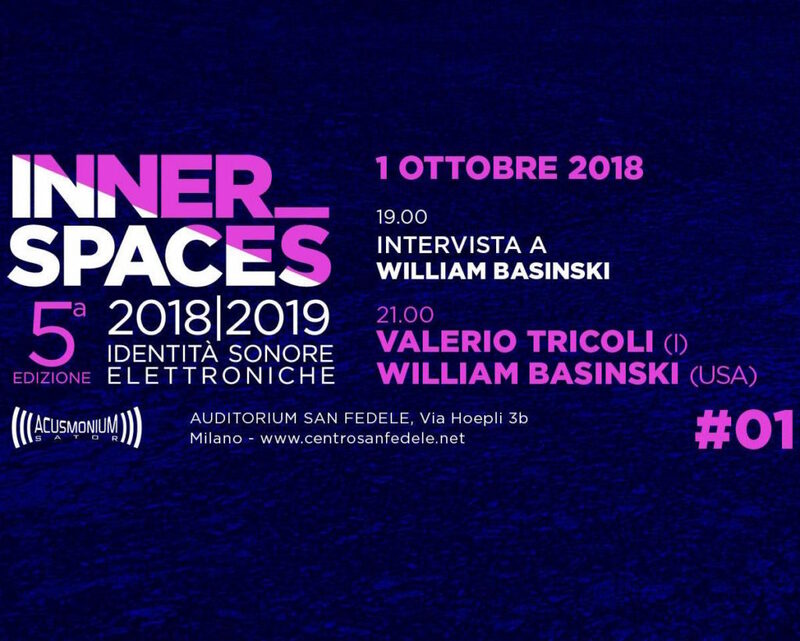 The music festival opens its 5th edition on Monday 1st October at the Auditorium San Fedele in Milan with the concert of the musician William Basinski. The Texan compositor presents On Time Out of Time for the first time in Italy, realized starting from the collection of the acoustic phenomenon generated by the gravitational waves. Before the performance with the Acusmonium Sator, the Archivio offers a meeting with the uncontested maestro of the ambient music, interviewed for the occasion by the journalist and curator Francesco Tenaglia. The event, open to public (free meeting, paid concert) and in English, is a unique moment to understand, directly from the Basinski’s voice, how could dialogue sounds from the past and loop of the present, giving a new sense to the musical archives and their use in a contemporary way.